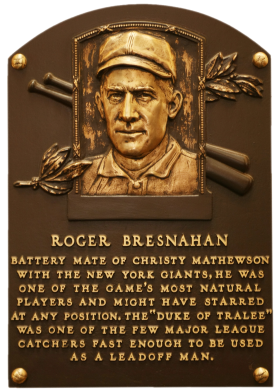 The first catcher elected to the Hall of Fame, Bresnahan is most famous for pioneering the use of shin guards and batting helmets. 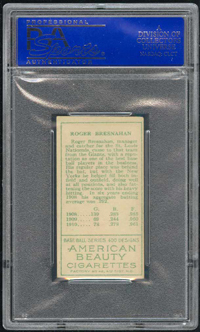 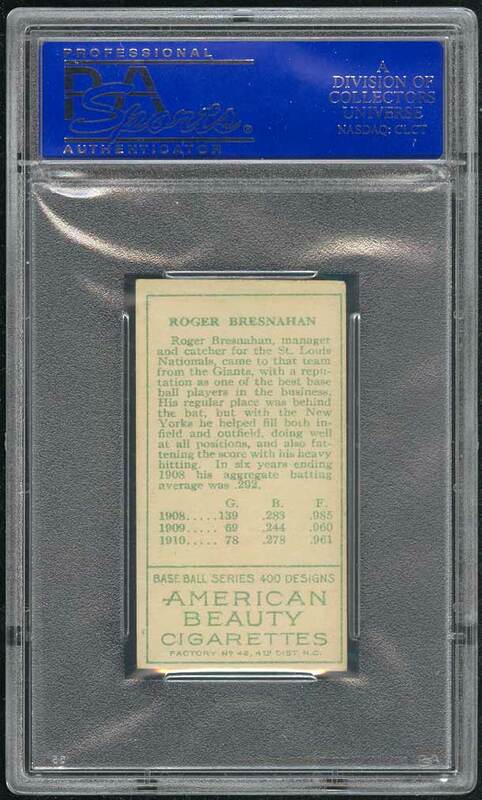 A solid hitter, Bresnahan hit .350 with the Giants in 1903. 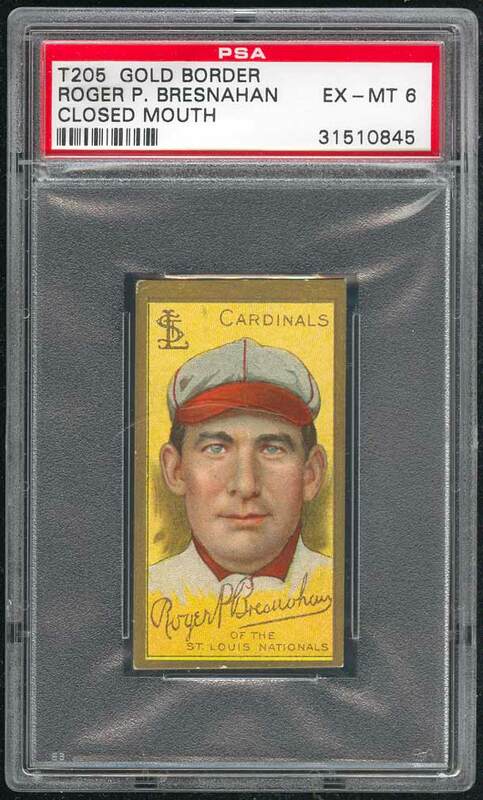 He possessed rare speed for a catcher, stealing 34 bases in 1903 and finishing his career with 212 stolen bases. 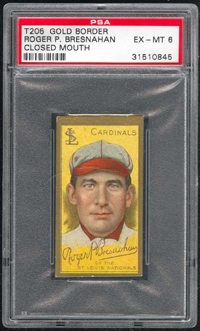 Comments: I first added a (Sovereign) PSA 5 to the collection in January, 2003 when I won a Mark Irodenko / Outfield Sports eBay auction. 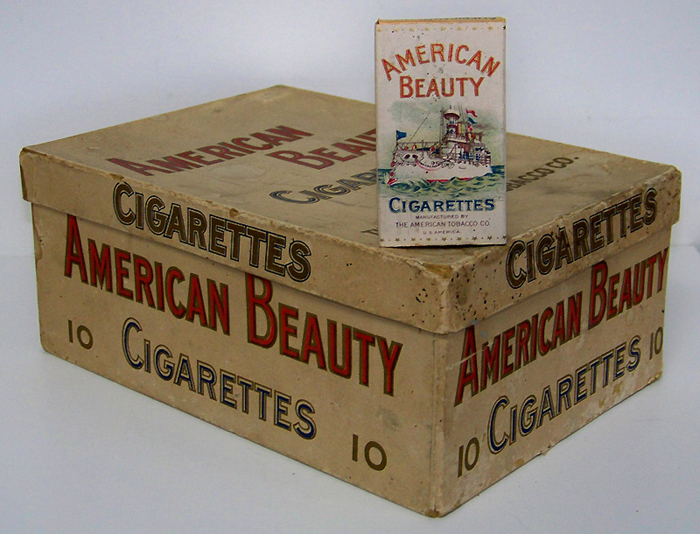 Eventually it was replaced with this beautiful American Beauty.